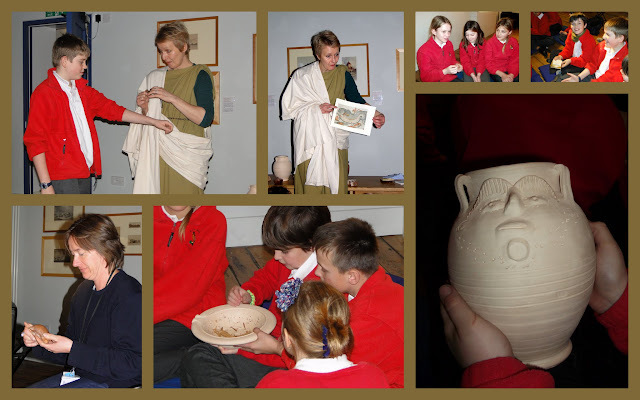 Earl Soham Community Primary School Blog: Romans Go Home! Yesterday the children in Blue Class set off early to Great Yarmouth where we had a real treat in store for us at the Time and Tide Museum. 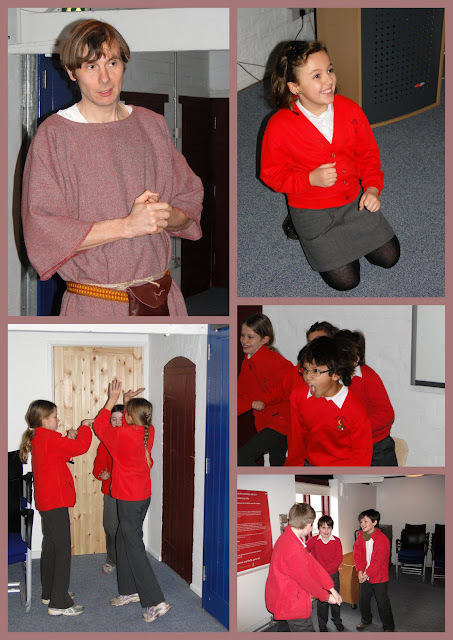 The children met three historical figures: Lady Livia Fortunata, a Roman woman; her bodyguard and member of the Roman army, Titus Flavius; and a Celtic villager, Ketha. They spent some time with each of the three characters, who talked about their lives and tried to persuade the children to join them. Lady Livia was encouraging the children to come back to Rome to be her servants where they would learn useful trades and live in a luxurious villa. 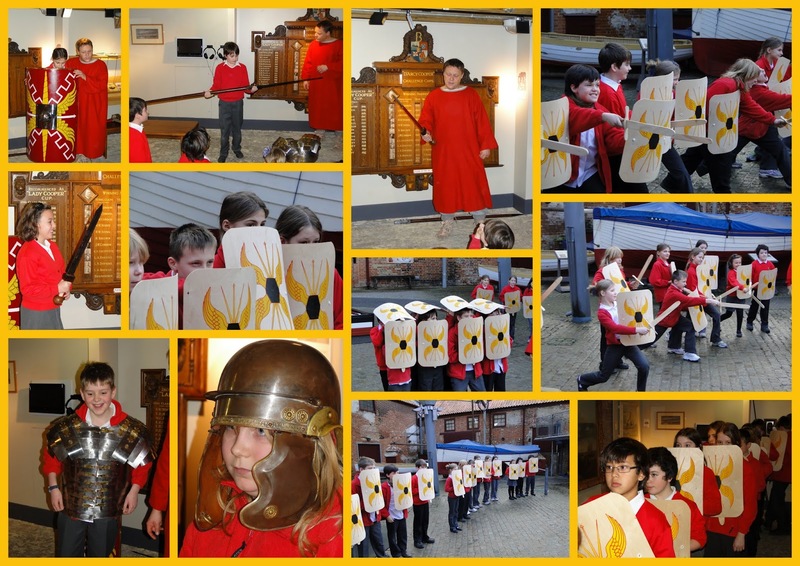 Titus Flavius taught them about life in the Roman army, introducing them to some of the weapons and drill. And Ketha described a more sedate, free life as a Celtic villager, hoping to try and make friends with the marauding Saxons who kept attacking British shores. At the end of the three sessions the children were given the chance to choose who they would join. 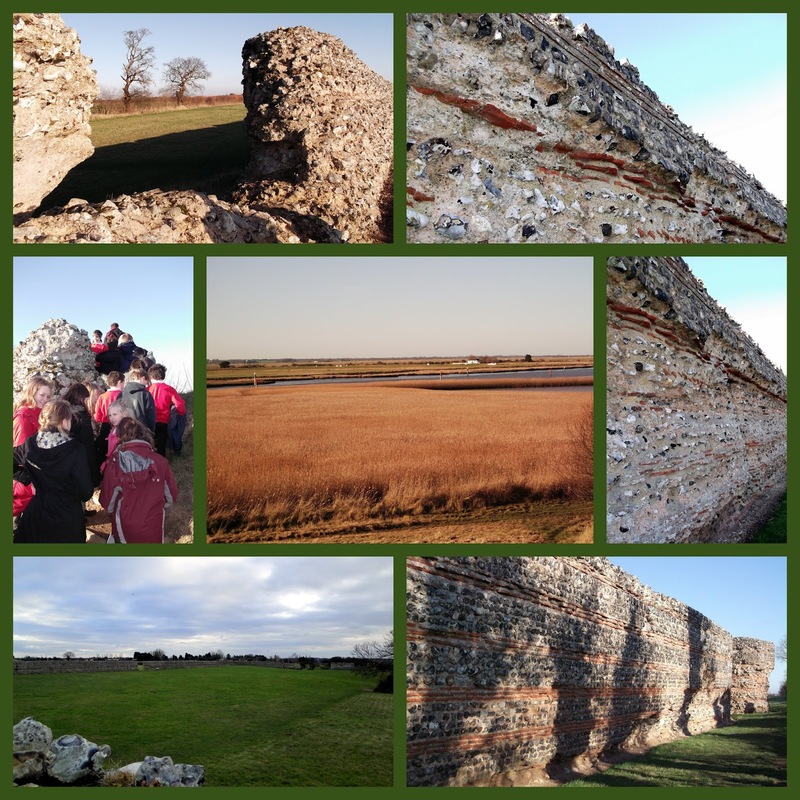 After lunch and a brief look around the museum, we set off to Burgh Castle, the site of the Roman Fort, Garrianonum. The children toured the site, trying to picture what life might have been like for the cavalry unit who were garrisoned there 1700 years ago. We will be following up our trip back in school by attempting to build our own model of the fort in the coming weeks.